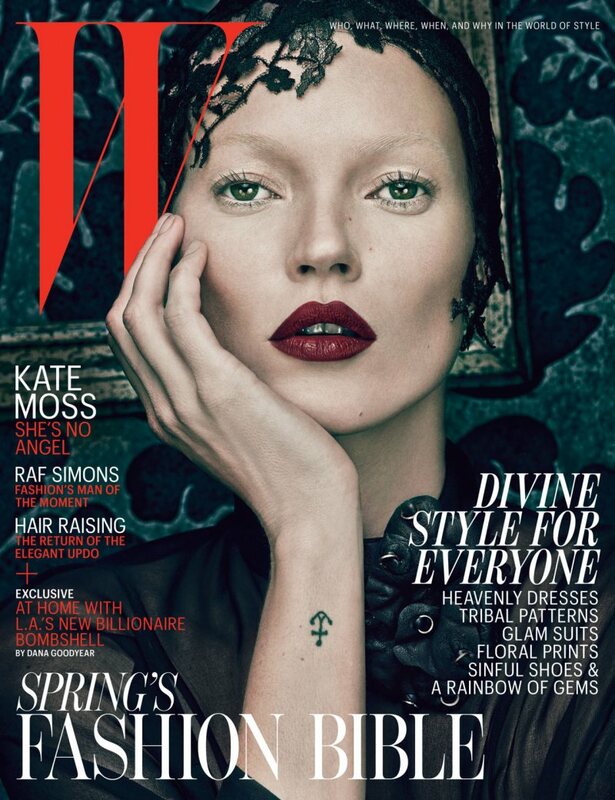 Kate Moss goes from angelic in white to devious in black for the March cover of W Magazine . Wearing lace looks, Kate poses in front of Steven Klein’s lens. 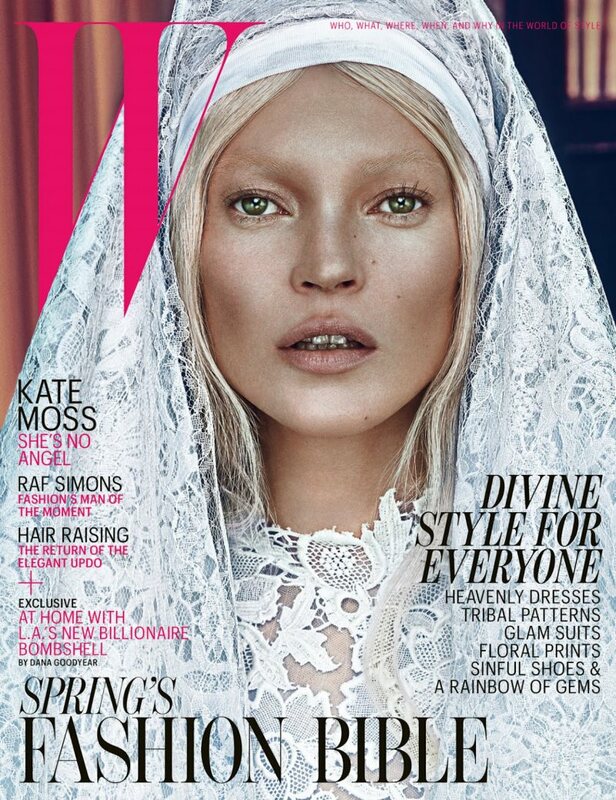 Kate Moss angelica in alb si demonica in negru pentru coperta din martie a revistei W. Poarta o tinuta din dantela in fata obiectivului lui Steven Klein. 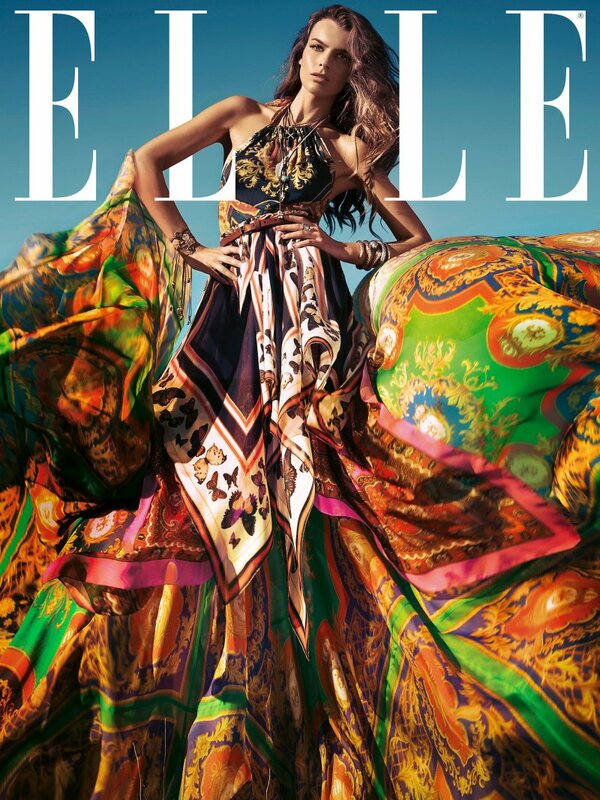 Filippa Hamilton is stunning in D&G for the readers of Elle Spain’s March issue, shot by Santiago Esteban. Filippa Hamilton intr.o superba rochie D&G pentru cititorii Elle Spania, fotografiata de Santiago Esteban. 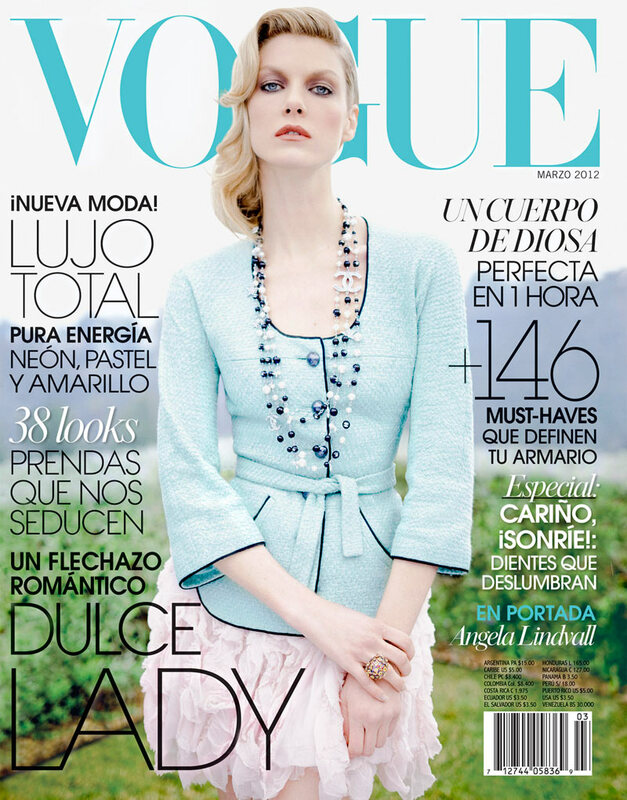 Karlie Kloss wears Dolce&Gabbana on the March cover of Vogue Korea, shot by Rafael Stahelin. This will mark Karlie’s fourth Vogue cover within the last six months. Karlie Kloss poarta Dolce&Gabbana pentru coperta din martie a revistei Vogue Korea, fotografiata de Rafael Stahelin. Aceasta marcheaza a patra aparitie a lui Kalie pe coperta Vogue in ultimile sase luni. I would like to mention one more cover that wasn’t included in top but it’s worth to. Angela Lindvall wows in pastels in front of Jean-Francois Campos’ lens. 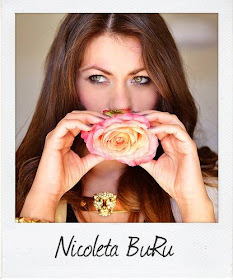 The American beauty wears a ladylike Chanel jacket and skirt styled by Sarah Gore Reeves. As vrea sa va prezint o coperta in plus care nu a intrat in top dar ar fi meritat din plin. Angela Lindvall impresioneaza in tinuta pastel in fata lui Jean-Francois Campo. Frumoasa americii poarta o jacheta Chanel si o fusta creata de Sarah Gore Reeves. What do you think about this top? Wich cover do you prefer more? Ce parere aveti despre acest top? Care coperta preferati mai mult? Oooh pretty ! I like the first one , she looks like a creature from another planet. Cool. I don't know how to get it :) Cos we are following each other for 3 weeks yet.